Jim and I are getting ready to hit the road again in a few days. I’m eager to meet the alumni we’ve scheduled and to see this part of the country (the Lexington, KY, region; the Appalachian Mountains; Blue Ridge Parkway; and the Shenandoah National Park area). 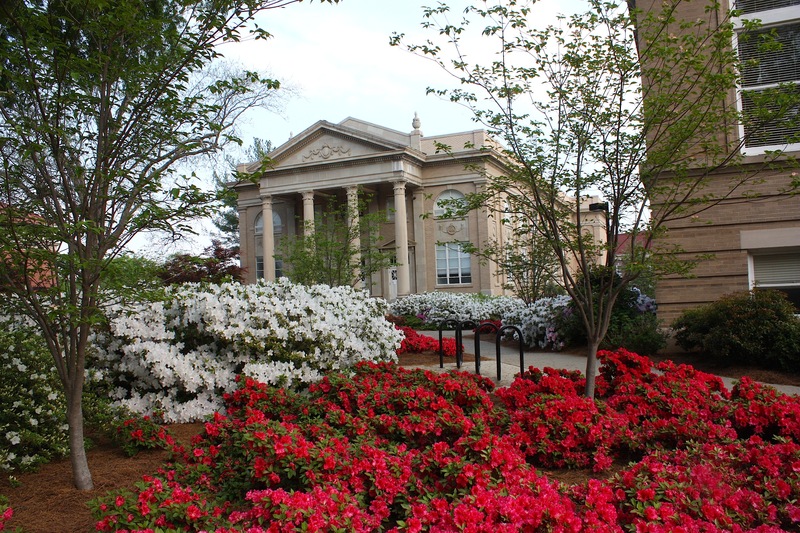 Our alumni are fortunate to live in a very beautiful part of the United States. I just hope the weather cooperates so Jim can photograph them in their natural surroundings. Speaking of photos, be sure to check out our state photo galleries. 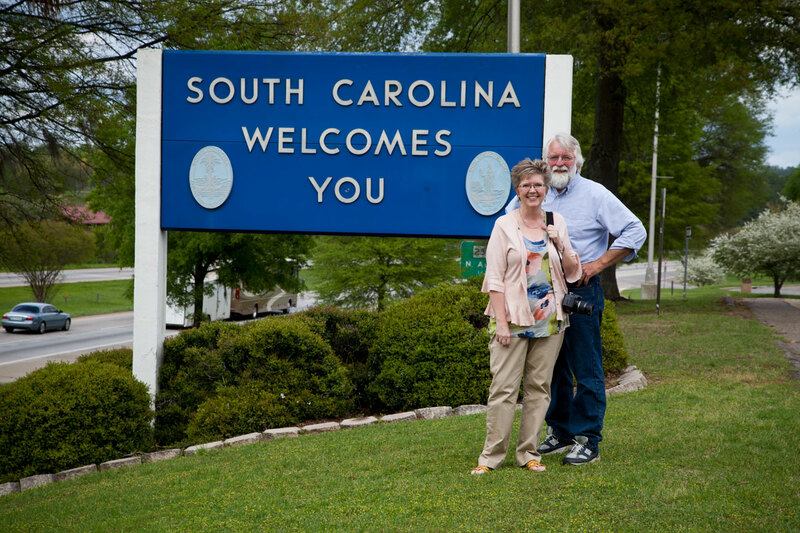 We have images posted on the South Carolina and Alabama pages, and the rest of our photos from the Deep South states will be posted soon. Once we get back from Kentucky, North Carolina, and Virginia, we’ll be sending emails to alumni who live in the upper Midwest region. Our plan is to travel to Michigan, Wisconsin, Minnesota, and Illinois in August. Of course, that might change depending on where our featured alumni are located. Sometimes we discover that it makes more sense to “group” the states in a different way in order to keep our travel time and costs down. But that’s the plan for now, anyway. Oh, and we’re still going to Alaska in July. I’m definitely looking forward to that, especially now that I found a direct flight out of the Minneapolis airport, cutting our travel time down from something like 15 hours (and three airplanes) flying out of Des Moines down to 5 hours and 40 minutes nonstop from Minneapolis. The more I travel the more I care about flight times! I also didn’t want to arrive in Anchorage at midnight. So I’m very excited about the direct flight, which arrives in Anchorage BEFORE NOON. Woo-hoo! 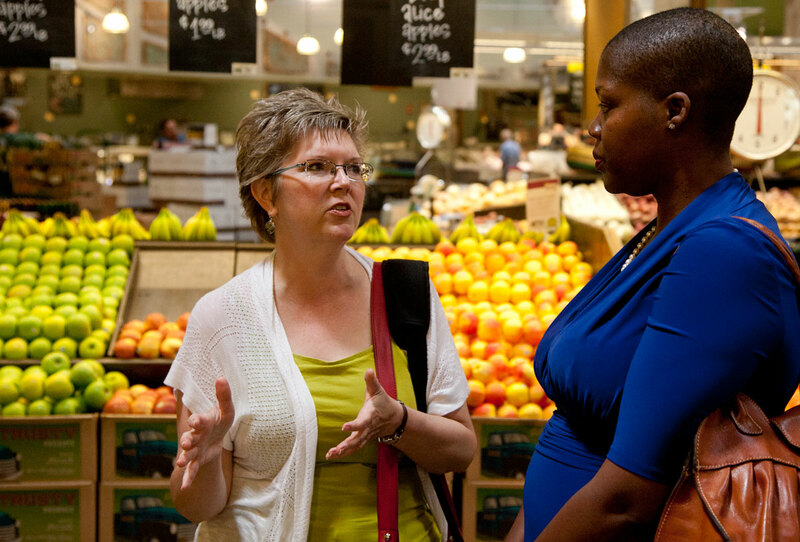 Keecha Harris isn’t sure why – or even if – she chose the field of dietetics. And then one day in her community nutrition class at Iowa State, Harris remembers chuckling. Harris is now president of Keecha Harris & Associates, a public health consulting firm, and she works on issues such as food and nutrition, community development, rural development, and educational policy. 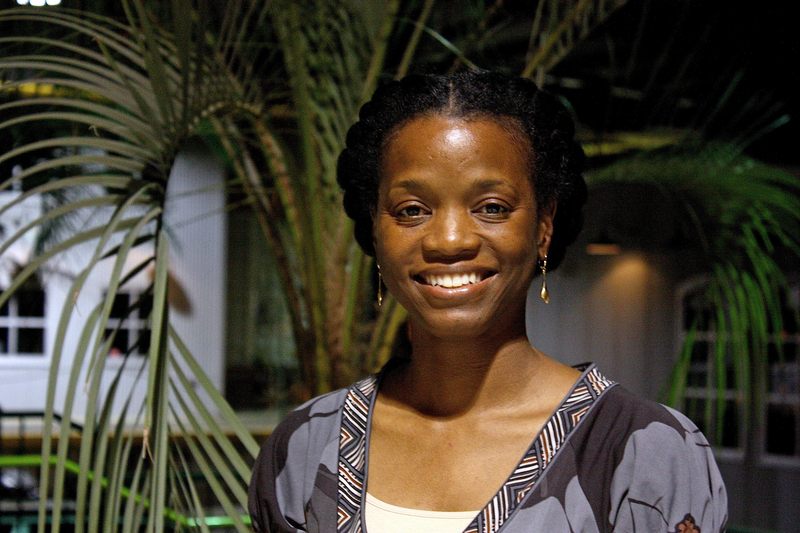 Harris graduated from Iowa State in 1996 and went on to earn both a master’s and PhD in public health from the University of Alabama Birmingham. She is a former national spokesperson for the American Dietetic Association and an internationally recognized nutrition columnist for msn.com. She was named a 2010 “Top 40 Under 40” by the Birmingham Business Journal. Walking through this 100-acre pine forest in east-central Alabama, it’s easy to imagine what the early European settlers thought when they arrived in the state. The forest provided resources to build cabins, but it also made a perfect hiding place for wild animals and human enemies, making it a frightening place. Settlers were mostly farmers; they cleared the land to farm. From 1880-1920, logging became big business. And soon the state’s natural forests were largely lost. 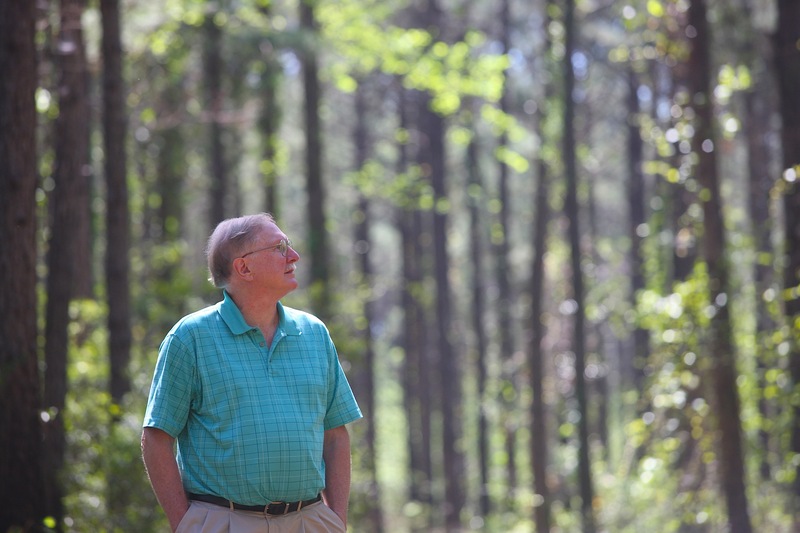 Dean Gjerstad (’66 forestry, MS ’69, PhD ’75) has spent his entire career growing, researching, and teaching students about Alabama pine forests. A retired professor of forestry at Auburn University, Dean was recently inducted into the Alabama Foresters’ Hall of Fame. He’s been involved in research and demonstrations to improve forest regeneration practices in Alabama and throughout the Southeast states, and he founded the Longleaf Alliance, an advocacy group for the retention, restoration, and management of longleaf pine forests in the area. Much of the longleaf pine was destroyed in the early 1900s. Currently, only about 3 million acres of the tall, straight longleaf trees exist in the South. The goal of the Alliance is to increase that to 10 million acres. In 2007, U.S. Forest Service data indicated the first-ever recorded increase in longleaf acreage, largely attributed to the work of the Alliance. Most forested land in Alabama is privately owned. The Gjerstad family owns 100 acres, plus 40 acres just up the road. Their son recently bought an adjoining 60 acres. “We have a little bit of longleaf [but mostly] it’s a loblolly pine tree farm. Our loblolly is around 32 years old,” Dean said. Dean has been interested in forestry since he was a young child and dreamed of riding a horse out west. Today he says he’s satisfied with walking or riding through the woods on the family’s ATV. Natasha Thomas grew up in as culturally different a place as you can get from Ames, Iowa and still be in the United States: Brooklyn, N.Y.
A track and field standout in high school, Natasha was ranked third in the state in 400-meter hurdles. Her performance at a state track meet caught the attention of Iowa State’s assistant track and field coach, Patrick Moynihan, a native of Yonkers, N.Y.
Moynihan recruited the young track athlete, bringing her to Iowa State for a campus visit in 1984. She was just 16 years old. And then the memories of Coach Moynihan come flooding back, and Natasha is overcome with emotion. On Nov. 25, 1985, three members of the women’s cross country team, their two coaches — Moynihan and Ron Renko — a student trainer, and a pilot were killed in a plane crash in Des Moines. In an instant, everything changed. Natasha went on to become a four-year letterwinner and a Big 8 Conference champion in 400-meter hurdles in 1987. She still holds records in 55-meter and 100-meter hurdles at Iowa State. Natasha has stayed connected to Iowa State in a number of ways. 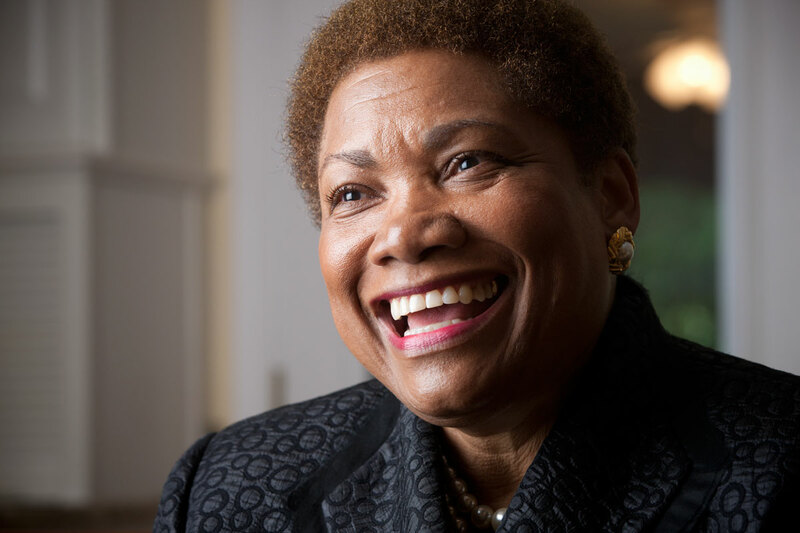 She’s been an alumni ambassador and a mentor for African American students. And she travels to Ames four times a year as a current member of the ISU Alumni Association Board of Directors. We’re making final travel arrangements and appointments with alumni in our next three states. It’s getting harder and harder to decide which alumni to feature in each state, because you’re sending us so many great story ideas. I wish we could meet with every one of you! But since time and money won’t allow that, we’re doing our best to choose representative alumni from each state. I should mention that when we go to Virginia, we’re focusing on just the southern and western portions of the state. We’ll do a separate trip to Washington, D.C., next year, so we hope to pick up a few more Virginians on that trip. I hope you’ve noticed that we’ve had a lot more activity on our state pages lately. Especially in the three states we’re visiting next, we’ve seen a huge increase in postings. Check it out! We don’t have too many photos being sent to us for the state photo galleries, however, so if you have photos of yourself, groups of alumni, family photos, or just pictures of your state, please send them our way and we’ll be happy to get them posted for you. I’m working right now on the photos that Jim and I took in Georgia, South Carolina, Alabama, Mississippi, and Tennessee. We’ll get those posted in their respective state photo galleries soon. Hang yue (Jessica) Wong had never been away from home when, at the age of 19, she left her native Hong Kong and traveled to the United States for a college education. Jessica chose Iowa State for its high-ranking food science program. She found it easy to make friends on campus, both through the Hong Kong Students’ Association and through her department. She pushed herself to excel academically and to be less shy in her interactions with colleagues. Following her graduation in 1997, Jessica became a quality specialist with Landlock Seafood in Dallas and then worked as a quality engineer for Dannon Yogurt. Today she’s working in Atlanta as a culinologist/senior food scientist with Naturally Fresh, Inc. 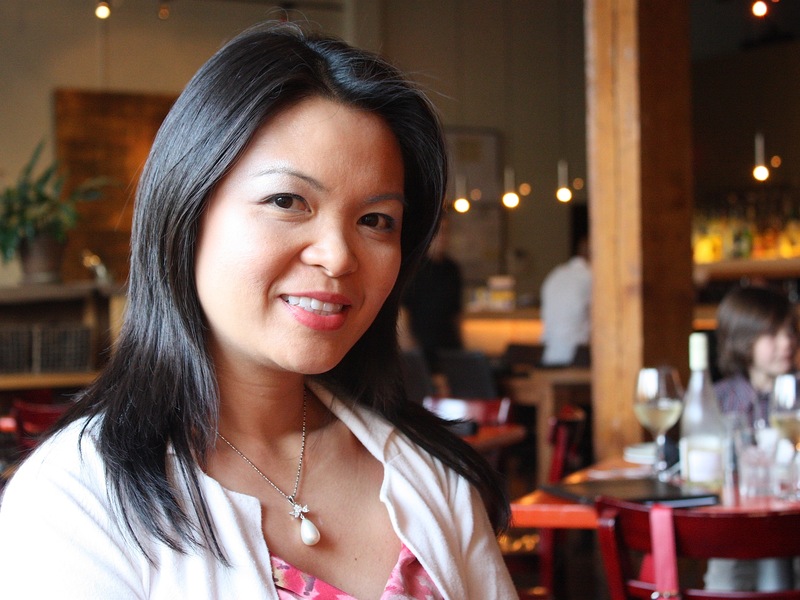 There she develops sauces, salad dressings, and marinades for a variety of private labels. Jessica and her husband, Quentin Mock, have an 8-year-old son, Lofton. The Mocks grow Swiss chard, beets, spinach, broccoli, kale, and other vegetables in an organic backyard garden, and Jessica has a growing interest in alternative Chinese medicine and holistic nutrition. Hey, y’all! We’re back from our 10-day, five-state tour of the Deep South, where we met with nine alumni and attended a gathering hosted by the ISUAA Club of Atlanta. It was a fantastic trip from start to finish. I am in awe of the alumni we met, and it occurred to me as they were telling their stories that a few themes seem to be recurring: Their lives were changed at Iowa State because of a particular professor, mentor, or class; they truly took advantage of all that Iowa State had to offer them when they were students; they have developed a strong passion for their work; and they chose Iowa State because they were seeking out world-class programs in their areas of study. Their stories are truly inspiring. I went to dinner with Jessica (’97 food science) and her family, husband Quentin and 8-year-old son Lofton. Jessica and Quentin met in the food science industry (he’s an engineer with a degree from Georgia Tech), and Jessica currently works for Naturally Fresh, Inc. in Atlanta as a culinologist/senior food scientist. Natasha (’89 marketing) and I also went out to dinner in Atlanta, and although I already knew her (she is a member of our ISUAA Board of Directors) I learned so much more about her during our visit. She grew up in Brooklyn, N.Y., and came to Iowa State to run hurdles for the track and field team. She was only 16 years old when she came for her campus tour, and she became the only New Yorker on her team. I’ll tell you more about Jessica and Natasha in the coming weeks. After Jim arrived, we spent the afternoon with Michael Studier (’01 horticulture) on the Capital City Golf Club’s Crabapple course north of Atlanta. I am not a golfer, but I recognize a beautiful golf course when I see one. Mike is the course superintendent, and it’s his professional leadership that keeps the course looking good and running smoothly. He took us around to most of the holes on his 4-person golf cart. The weather was iffy when we got there, but by the end of our visit the sun was out and the course was glowing. Mike will be featured in the 2014 special issue. We weren’t sure what to expect from our next alumnus, Dean Gjerstad, a retired professor of forestry at Auburn University. We had visited on the phone a few times, and I knew he was going to take us to some forested property he owns south of Auburn. 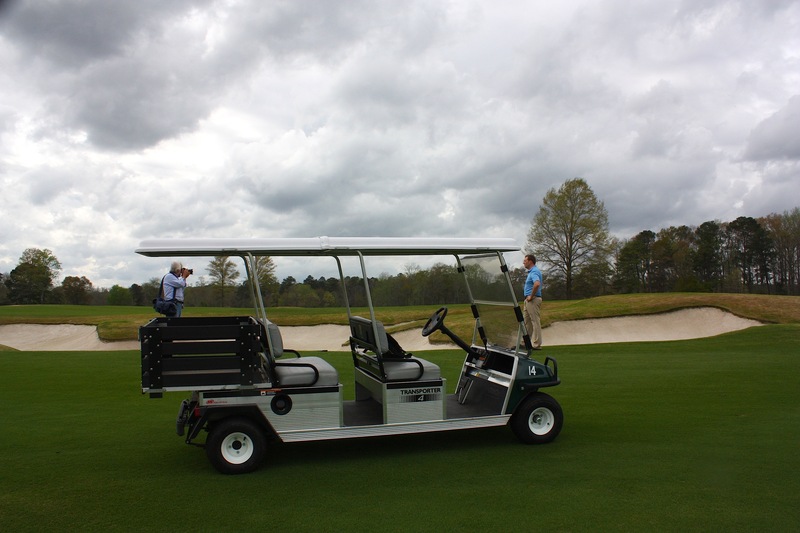 I wasn’t prepared for the beauty of the tall loblolly and longleaf pines on his acreage, or for the fun we’d have riding along the rough forest roads in Dean’s Polaris Ranger ATV (even better than the golf cart!) Dean earned three degrees from Iowa State: a bachelor’s in 1966, master’s in ’69, and Ph.D. in ’75, all in forestry. 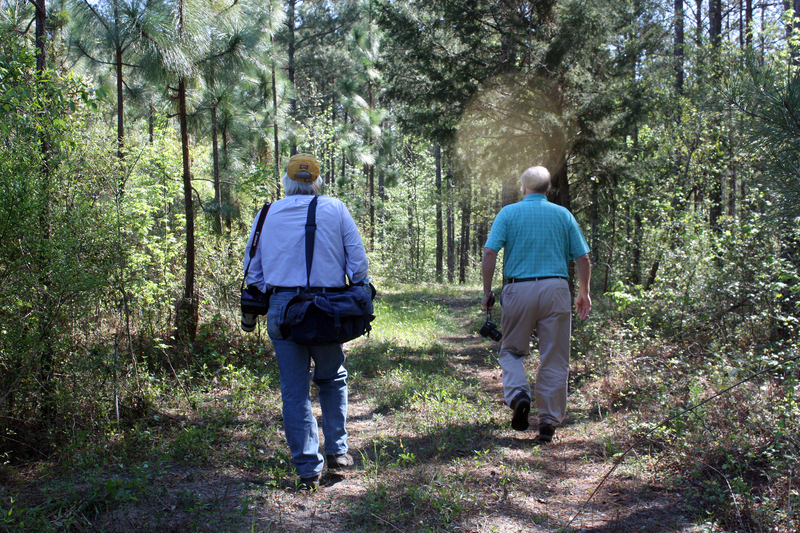 That’s photographer Jim Heemstra and Dean walking through the forest, above. After a fun morning with Dean and his family, we headed south toward Tuskegee. This was another very exciting destination for me. Tuskegee and Iowa State have many connections, most importantly the connections made by George Washington Carver. It was a real thrill to meet Jacquelyn Jackson, a Tuskegee native who came to Iowa State for a Ph.D. in plant genetics. Jackie is now a professor at Tuskegee and is following in the research footsteps of Dr. Carver himself. Jackie is a warm and bubbly person – and she knocked me out with her expertise in plant genetics. Like so many alumni, I felt like Jackie and I were best friends after spending just a few hours with her on campus. 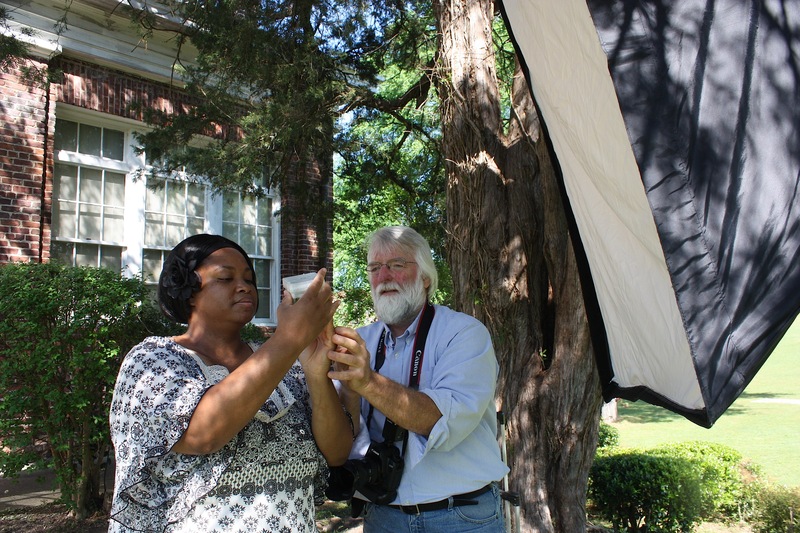 That’s her above with Jim at the photo shoot in front of George Washington Carver Museum. Our last alumni meeting in Alabama was with Keecha Harris in Birmingham. Keecha (’96 dietetics) is one of those people who talks so fast and is so articulate that I sure hope my tape recorder kept up with her. 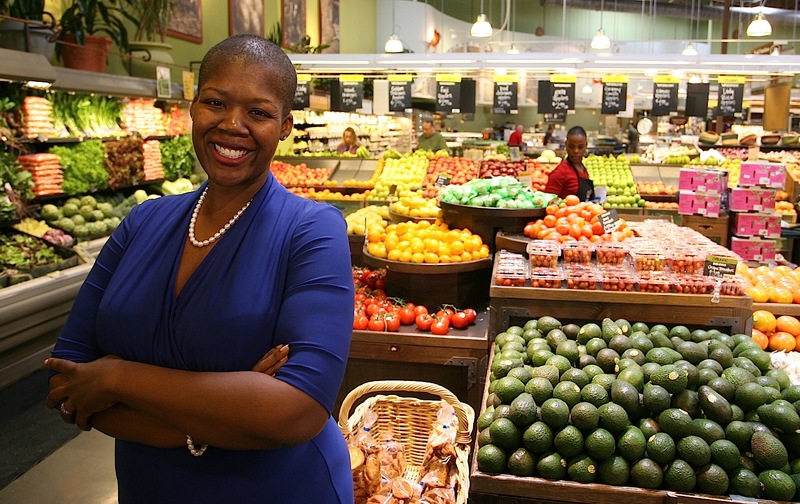 She’s doing great work with national issues surrounding nutrition, public health, and community development. And she’s an awesome spokesperson for Iowa State, too. We met at the Whole Foods Market in Birmingham, above. It seems like we spent an unusually large percentage of our time on college campuses during this trip, but it was a complete coincidence that our alumni connections included faculty or former faculty at South Carolina State, Auburn, Tuskegee, and the University of Mississippi. I very much enjoyed being on each of these campuses. I even had an opportunity to visit with the magazine editors at Auburn and Ole Miss – a bonus! The Ole Miss campus (above) looked like a picture postcard the day we were there to meet with psychology professor Ken Sufka. I don’t believe I’ve ever seen so many flowering trees and bushes in one place. I guess that’s the South in spring – but we were very lucky to be there when we were. Ken is another example of an Iowa State alum who’s had an extraordinary career in teaching and research – and changing people’s lives in both areas. 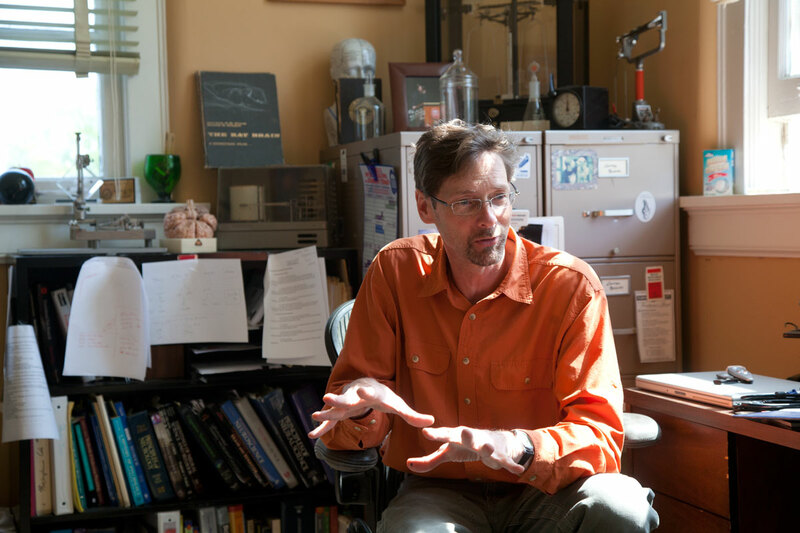 Ken says he came to Iowa State as an afterthought and didn’t have much interest in earning a degree – but because of some strong professors he not only earned a bachelor’s degree in 1986, he also went on to earn his master’s (’88) and Ph.D. (’90) at Iowa State. He’s such a fascinating guy – not just because of his career but also his lifestyle in rural Oxford – that we were almost late to our next appointment. Which brings us to our last state on this trip and our last alumni appointment with Andrea Vogt-Lytal. Andrea is one of the most fascinating people I’ve ever met. 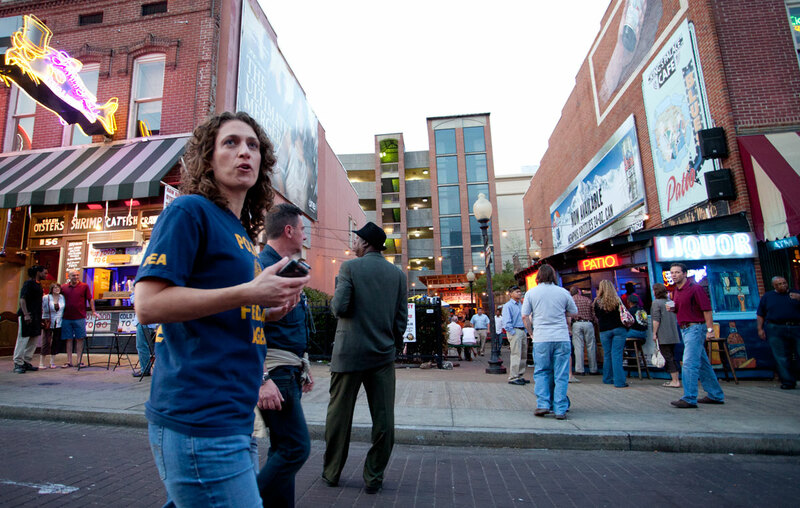 She is an information analyst for the federal Drug Enforcement Agency resident office in Memphis. She started at Iowa State as a journalism major but was transfixed by an anthropology class she took during her sophomore year and ended up pursuing a research project in Mexico before graduating in 1995. She’s now lived all over the world, is fluent in Spanish, and has a career tailor-made for her many interests and talents. I can’t wait to tell you more about all of these awesome alumni. After each interview and photo shoot I just had to pinch myself that I am really lucky enough to be doing this project and meeting all these incredible people who all have a single connection: Iowa State.